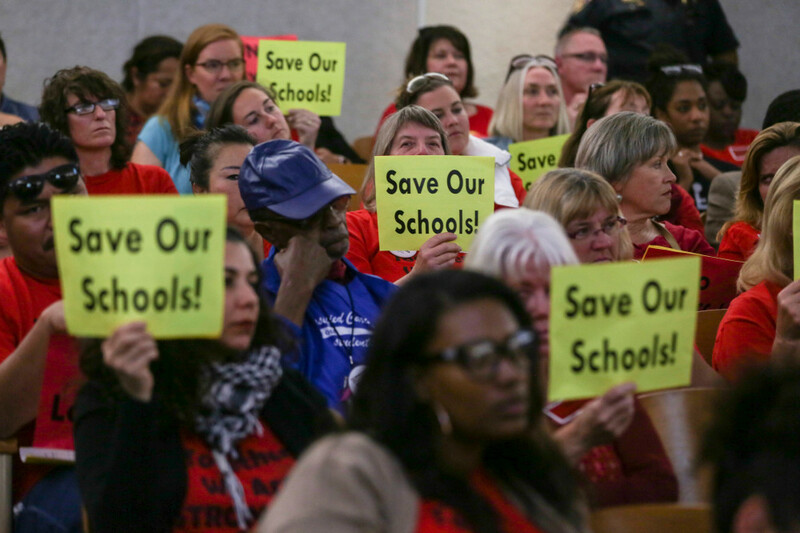 Officials at San Diego Unified School District are once again facing a budget shortfall. They've asked parents to identify which potential cuts they can live with as part of this year's attempt to balance the budget. Sharp budget cuts are once again coming to San Diego’s largest school district. San Diego Unified School District leaders are eyeing millions of dollars in cuts to preschool, counseling, music and art programs and custodial and other services to close next year’s anticipated budget gap. Late last year, school leaders approved $47 million in unspecified spending cuts to the district’s $1.4 billion budget for next year. Now, district officials are trying to figure out how much extra cash they’ll get from Gov. Jerry Brown’s plan to send more money to local schools through the state’s Local Control Funding Formula. But that’s still not expected to be enough to prevent more budget cuts, so district leaders are asking for community input about what students can live without. In the survey, officials outlined up to $53.45 million in cuts. The largest possible cuts could come from health services, followed by preschool programs, custodial services, special education and professional development, according to the survey. 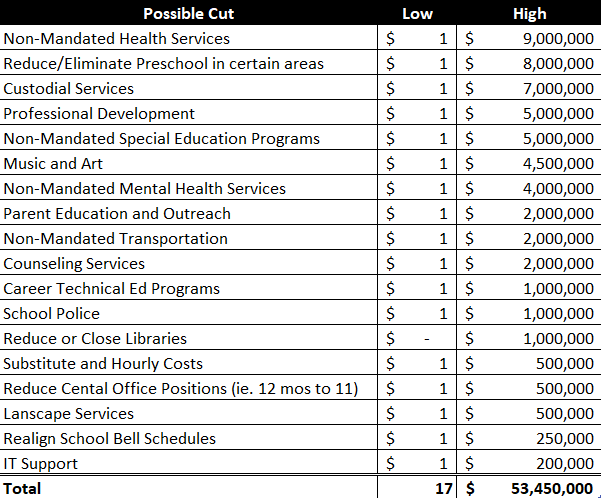 Some of the areas eyed for cuts next year were already hit hard in this year’s budget. School district leaders last year tried to trim $124 million from general fund spending. According to the district’s budget records, though, total general fund expenses are expected to come in just $8 million lower this year thanks to higher spending on things like employee benefits, books, supplies and services. In the survey introduction, the district highlighted the need for cuts due to rising costs “outside the district’s immediate control,” like healthcare, utilities, and state retirement contributions. The survey will close Jan. 20. Here’s the list of possible cuts circulated. Budget-cut options included in January 2018 San Diego Unified community input survey.